Self-defense isn’t a game. It is meant to be used for protection. But, it isn’t hard to find a kids martial arts program with a focus on competition. They reward kids with trophies for beating up other kids in a ring. Thats where we differ from other schools. Our program puts an emphasis on teaching your child practical self defense skills, and teaches them to build others up instead of beat them down. What will my child learn in their class? We teach our kids that doing the right thing is always more important than doing what we feel like doing. With a deep emphasis on character and quality, age appropriate self-defense skills through Jeet Kune Do. It’s an unbeatable combination. You don’t have to be the most powerful person in the room to be able to defend yourself. 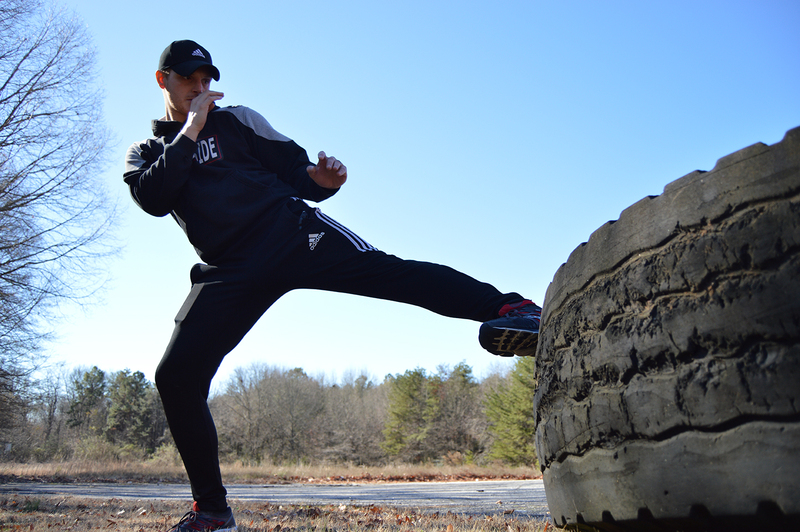 By attacking “soft targets,” Jeet Kune Do gives its practitioner the tactical edge regardless of size. What can I expect to learn from JKD? Built upon the foundation of Wing Chun principles and old-school boxing/fencing tactics - in Jeet Kune Do you get a scientific, brilliantly simple, and no-nonsense method of self defense straight from the mind of Bruce Lee. Wing Chun Kung Fu is a staggeringly simple, and logical close range fighting system. Real confrontations don’t happen in a ring, cage, or on a floor with mats, so we must have a method of fighting that is prepared for the real thing. What can I expect to learn from Wing Chun? Wing Chun is the only combat art to be developed by a woman. It teaches you not to try to match force against force, but rather use it against your opponent. You’ll learn systematic use of foul tactics, and even learn to use your environment as a weapon. Don’t fight fire with fire when you have a water hose. Boxing is a great sport, but it’s so much more than that. It is also an incredible workout, a humbling discipline, and the sweet science of self defense. Learn to “make ‘em miss and make ‘em pay” in a safe, dynamic atmosphere. Maybe you don’t want to fight competitively in the ring, but everyone can benefit from boxing training. Moreover, you’ll learn the most time tested means of self protection in the world. What can I expect to learn from Boxing? We’ll train you just like a fighter. Jumping rope, working the bag, throwing combos together on the focus mitts with your coach - the works! Light sparring is optional if your're not into that. If you would like to learn how to work against an opponent, but aren't sure of how to go about it then just find your coach and they can show you how its done. Private classes are the best way to get right to the heart of the disciplines you want to learn. Work one-on-one with your instructor and find the days and times to train that are best for your schedule. It’s the best way to maximize your time and study the art you’ve always wanted to learn. Private classes don’t have to be a long term commitment. They’re also a great way for you to get some extra training for the group classes you’re in. Is there an advantage to training privately? Not everyone likes training in a group environment, but there are some things that are difficult to train without a partner. When you train privately with one of our instructors you get right to the source with a skilled trainer and partner who can motivate, and push you to be the best you can be.